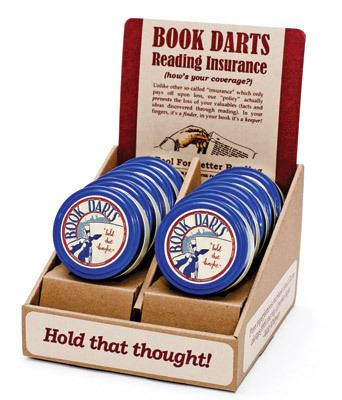 Bookdarts are thin 1" long, bronze markers that slide onto a page and stay put - replacing bent corners, paper clips, post-its, highlighting etc. 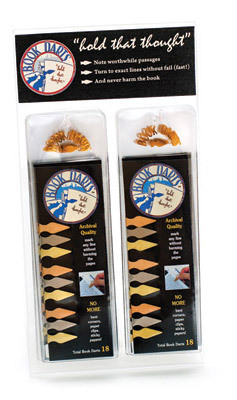 The unobtrusive and non-slip bookdarts can even mark a specific line. 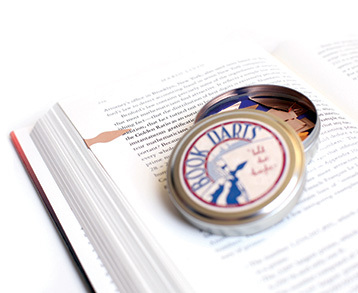 Good quality and reusable, Book Darts are ideal for researchers, students, professionals and avid readers. Available in tins of 50 and plastic sleeves with 18 markers.